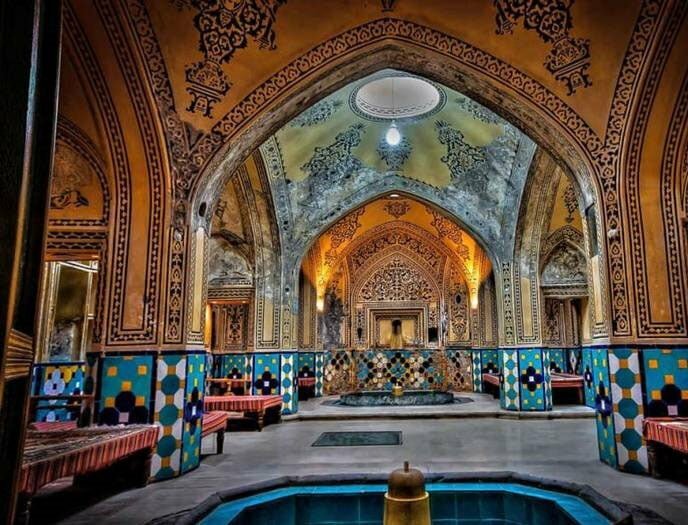 Sultan Amir-Ahmad Bathhouse, also known as the Qassemi Bathhouse, is a traditional Iranian public bathhouse in Kashan, Isfahan province. 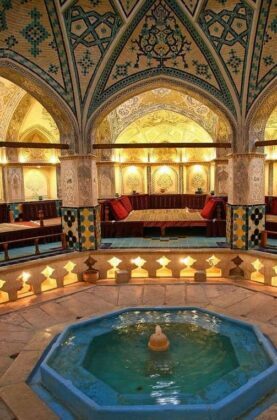 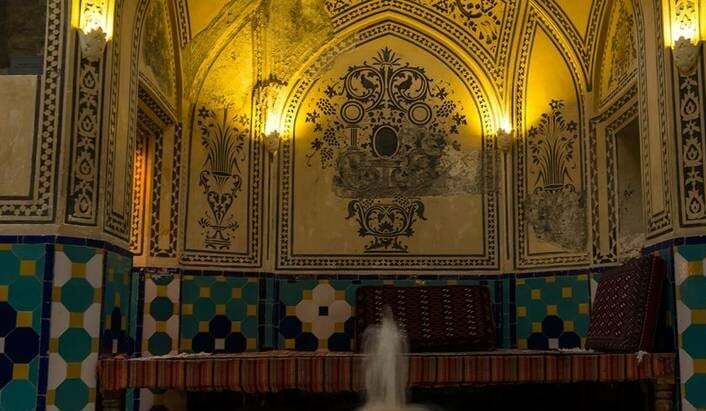 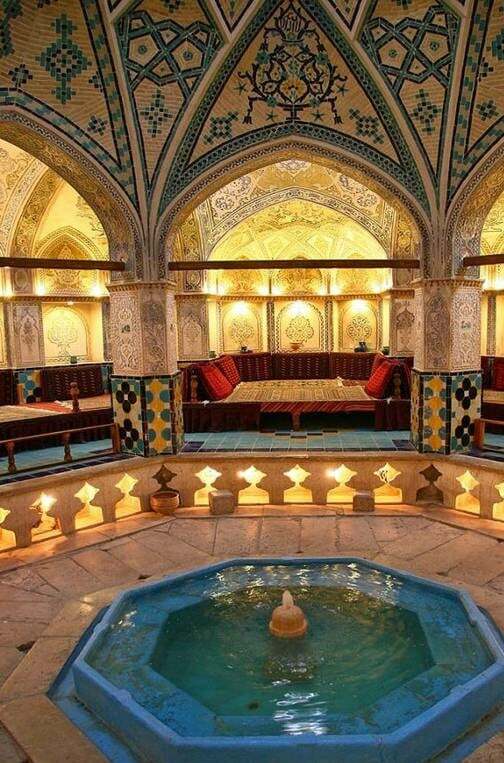 The bath was built in the 16th century, during the Safavid era. 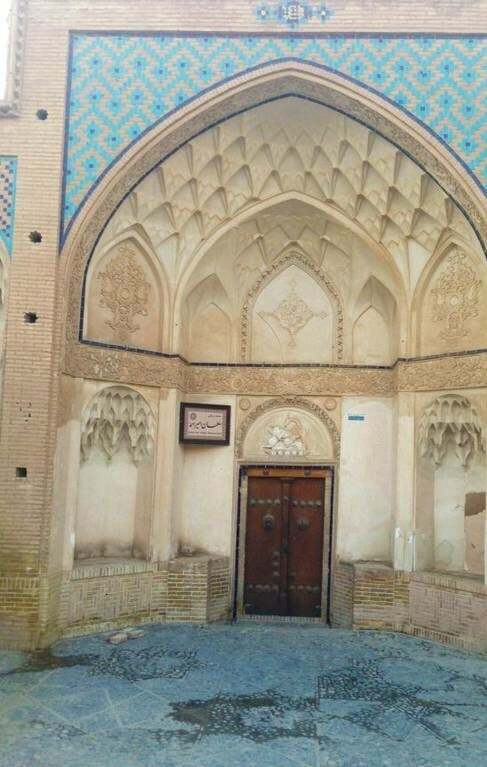 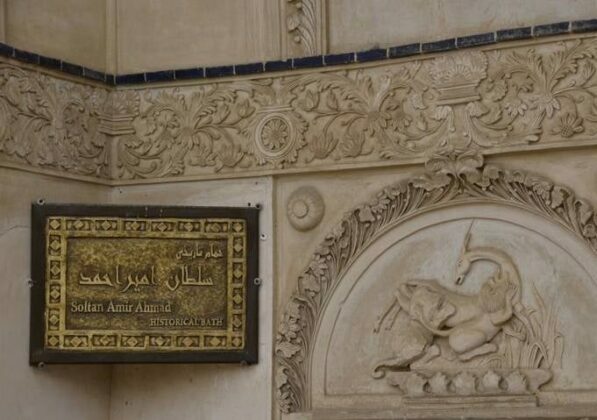 The bathhouse is named after Imamzadeh Sultan Amir-Ahmad, whose mausoleum is nearby. 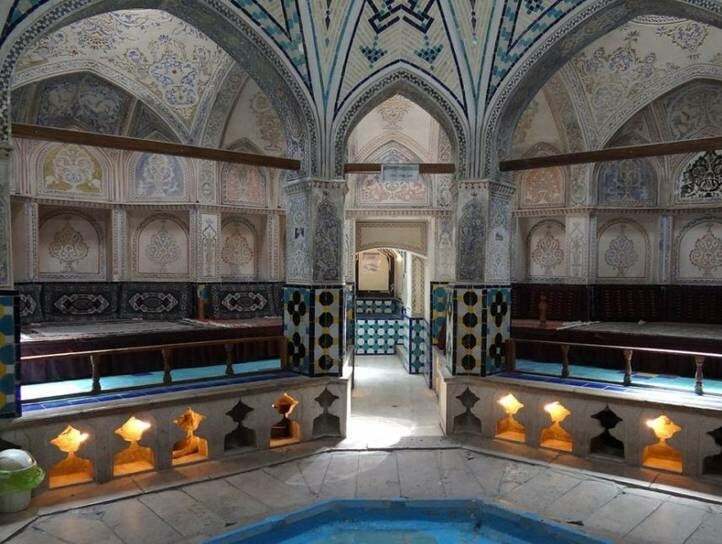 Sultan Amir-Ahmad Bathhouse, with an area of around 1,000 square metres, consists of two main parts: the dressing hall and hot bathing hall. 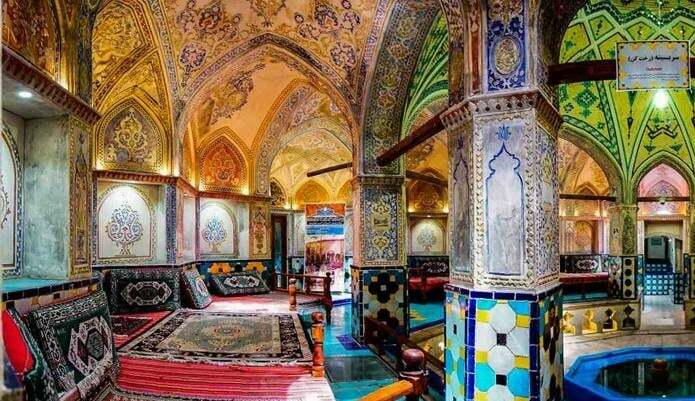 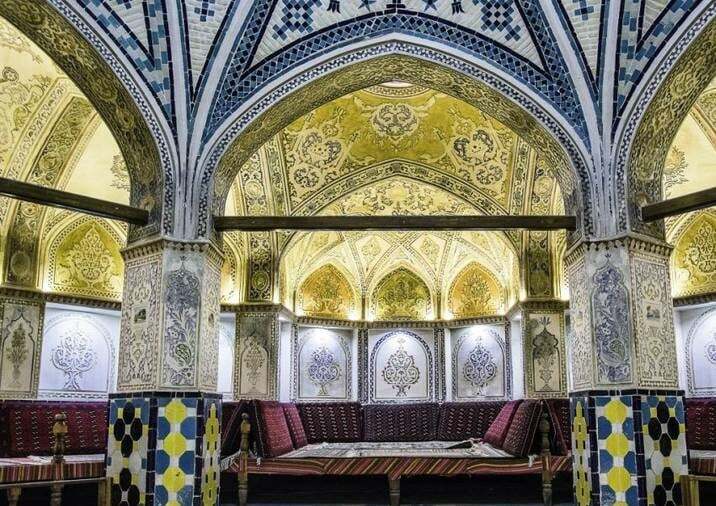 The interior of the bathhouse is decorated with turquoise and gold tilework, plasterwork, brickwork, as well as artistic paintings. The roof of the bathhouse is made of multiple domes that contain convex glasses to provide sufficient lighting to the bathhouse while concealing it from the outside.